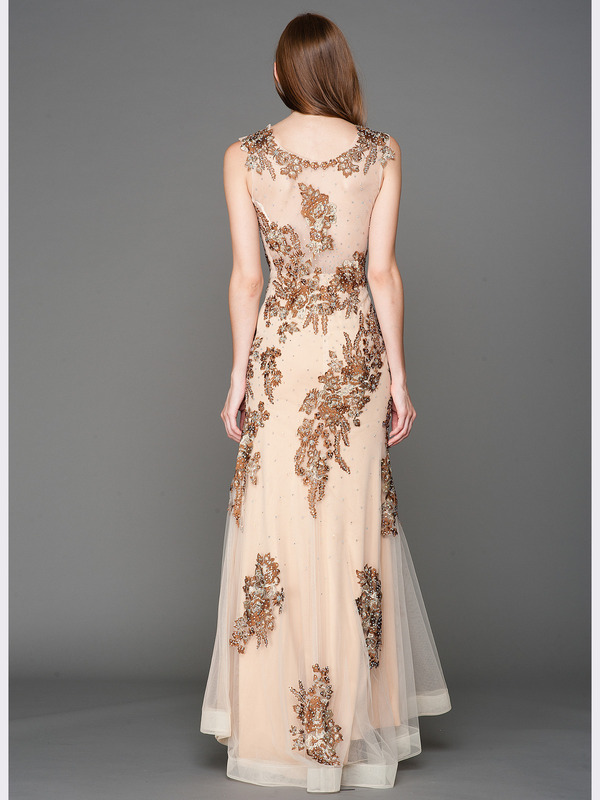 Embroidery Sheer Evening Dress | Sung Boutique L.A. This elegant evening dress features a simple neckline with beads and embroidery detail throughout the dress. 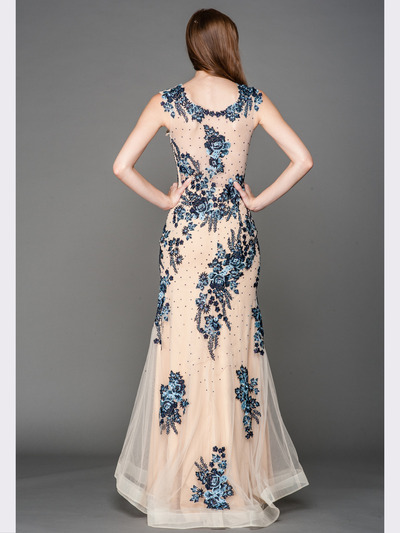 Sweeping floor length long skirt with light train completes the look.